When it comes to building happy, healthy children, having a diet rich in fresh fruit and vegetables is vital. A few years a go I was lucky enough to discover my favourite variety of apple and I think it makes the perfect fruit for kids lunches. 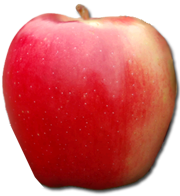 The organic Ambrosia apple is a sweet, low-acid fruit with a distinct honeyed aroma. Kids just love them! Organic Ambrosia apples are grown without the use of synthetic pesticides and fertilizers, and you can be rest assured that they are free from any genetically modified organisms (GMOs), growth hormones, and artificial colours and preservatives. When it comes to the apple, most of their important nutrients and minerals are held in the skin, and so being organic means peeling of the skin is not required; the whole apple can be enjoyed! The old saying, ’An apple a day keeps the Doctor away’, appears to be true! The benefits of including fresh fruit and vegetables in a growing child’s diet is astounding. In some cases a healthy diet has been proven to ‘treat’ behavioural disorders such as ADHD, rid allergies and intolerances, and promote a healthy weight. Hearty, healthy foods in the long run also help in the prevention of many common chronic diseases, including cancer, heart-disease and diabetes type II. Ambrosia apples soothe growling bellies. Apples are very high in pectin, a soluble fibre shown to exert a number of beneficial effects. The fibre helps you feel full and satisfied. It also aids in healthy digestion; vital in maintaining and reaching an ideal weight, and in the long-term prevention of many chronic illnesses. Healthy digestion is also key to a healthy gut, allowing the absorption of essential nutrients and minerals. Apples are an good source of vitamin C, a classic booster of the immune system. This makes apples a great snack in the fall when the weather is changing and we need to ward off the common cold and flu. Apples contain minerals vital for a growing body. This includes potassium, phosphorus, calcium, magnesium and boron, which are all important in the functioning of the body, notably in healthy brain function, and the development of strong bones. Apples contain compounds that fight against tooth decay. Antioxidants called polyphenols found in apples may prevent tooth decay by disturbing the bacteria responsible for rotting teeth; a constant concern for maintaining the health of those brand new teeth. Make afternoon crashes a distant memory. Polyphenols have also been shown to help regulate sugar levels, which is key in the prevention of diabetes type II, cravings and over-eating. Having a regulated blood sugar level will also help make those afternoon crashes, a thing of the past. Focus in class? Yes please! This Canadian fruit packs a real delicious and nutritious punch. They are also incredibly practical given that they are slow to brown when cut. You can be confident when adding them to green or fruit salads, cheese platters, making a fruit kebab or closing them up in an airtight baggy for lunch or snacks. Baking an apple treat? Their naturally sweet nature means organic Ambrosia apples require less sugar then most other varieties when used in cooking or baking. Ambrosia, meaning ‘food of the gods’, appears to be true. Delicious, nutritious and practical. Connect with Julie on Facebook at Julie Daniluk Nutrition and on Instagram and Twitter @juliedaniluk.